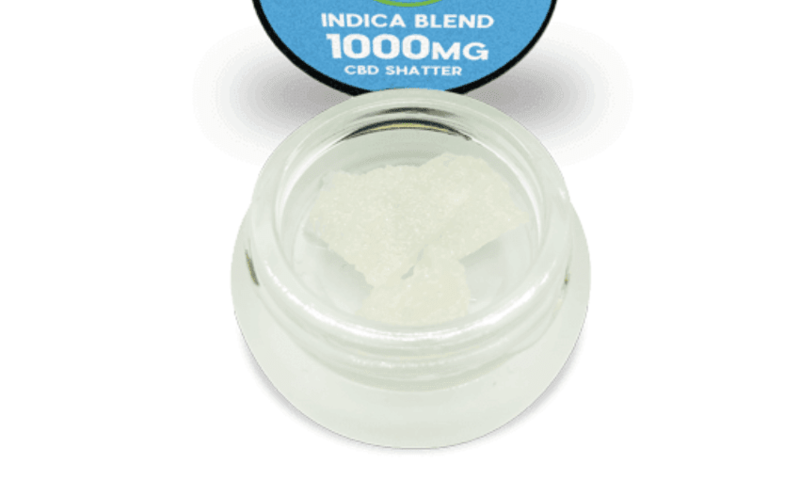 INDICA SHATTER 1000MG Hemp Extracted Pure Isolate begins life as grown Industrial Hemp and is then harvested, extracted, refined and tested to ensure the highest quality end product possible. CBD Pure Isolate (Crystal) is, in simple terms, the purest form of cannabidiol. Isolate is the latest talk of the town, because it helps individuals get relaxed and soothe their anxiety, without getting you high (0% THC). You can mix isolate with your favorite essence for enhanced flavor. We developed this blend of terpenes based on a number of different strains known for being sedative, relaxing, and heavy. This profile is a favorite for people who are looking for a “couch lock effect”. Many customers buy CBD Shatter but do not configure the dosage correctly. An incorrect dosage will mar the experience and is likely the primary reason why it is not working for you. Try starting out with a low dosage, as suggested. From then on, double or triple up every 2 hours until you have reached your comfort zone. Find out more about benefits of CBD Shatter and other CBD products on our Health & Wellness sites.